I must start out and say that June 2009 has been an amazing month for technology. Lots of Google news, Microsoft Bing news, and a new iPhone is launched. I have to admit that I jumped on the Apple bandwagon (how can you not?) when I purchase an iPhone a few months ago. This technology is so amazing to me. The world is at my fingertips. Although I work in the Search industry I would not necessary classify me as a techie. I am more of a digital immigrant. The list goes on an on. As you can see I rarely use my iPhone as a phone. There is just so much you can do with it. As little as ten years ago I never thought that I would own a phone that allows me to do what I can do with the iPhone. This is truly a remarkable product, and as we all know remarkable products can be few a far between. The new “Find My iPhone” feature where if you lose your iPhone anywhere and have a MobileMe account, you can find exactly where your iPhone is on a map on the web. I know three or four people who could have used this in the past month. 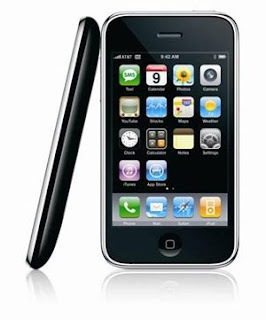 With the launch of the iPhone 3GS, storage sizes have doubles, the battery life is longer and the downloads times are faster. The development of the iPhone is a bit of a phenomenon and truly is an extraordinary event. We all know how innovative Apple is, but they have had issues with their price points with regards to the iPhone as the folks at TechCrunch point out. However there is more than the novelty of just owning an iPhone. It's about being able to quickly access and share information. Having an iPhone allows users to connect in a manner that previously was unheard of from anywhere, anyplace at anytime. You can bet that the conversations taking at place at WWDC 09, will continue to revolutionize and grow the development of the iPhone. Inviting developers to bring their code and concepts to iPhone labs just speaks to the innovation and phenomenon that is Apple. I'm not a tech-geek, but the iPhone makes me want to be one. When I was younger I seemed to fear technology and the change that was born from it. Now I love it and cannot wait to see what is coming around the corner. If Apple can win me over, they can win anyone over.